I come to alternative medicine after watching and pondering the experience of the many patients I “rescued” as an emergency medical technician, and later an emergency room nurse. I had graduated from Harrisburg Area Community College Nursing Program in 1987 and after an initial period of excitement, my outlook became more gloomy as I worked with people who were in trouble because of neglected health. But there were others too: people who seemed to do all the right things but got ill anyway. Degenerative disease such as heart problems, diabetes, and arthritis were all too common complaints–and our medicines seemed to do nothing but provide temporary relief, and often caused side effects or other unintended problems. Sure, we “fixed” a lot folks. Let no one ignore the significant benefits of modern medicine and surgery. But there was something else going on. I went back to school in 1993 with the hope of exploring those questions. I thank Gail Gelsinger, of Reading PA for her thoughtful advice that sent me on the road to homeopathy and my current work in related areas. 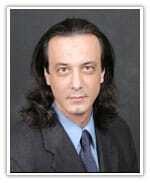 In addition, I have spent some time in the study of various systems, although I may not always practice them. 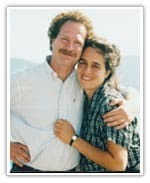 These systems include acupuncture/traditional Chinese medicine, ayurveda, acupressure/shiatsu, massage therapies of different sorts, healing touch/Therapeutic Touch, energy field therapies/Martha Rogers, chiropractic and osteopathic manipulative therapy, herbalism, nutritional medicine, Rudolph Steiner and anthroposophical medicine, shamanism, and aromatherapy. New England School of Homeopathy. Learn more about the school, the teachers, and the methods that may change the we practice. Classes, conferences and media are available; see site for details on NESH educational materials. Dr Sheldrake proposed an interesting hypothesis for the development of forms in nature, proposing a “morphogenic field” as a alternative for a more classically theorized development from genetic coding and protein/peptide synthesis model (what I tend to call a “molecular signaling” model of systems biology). I won’t try to do his work justice here and suggest a reading of A New Science of Life: A Hypothesis of Morphic Resonance, or a later–and more accessible work–Dogs that Know When Their Owners are Coming Home. 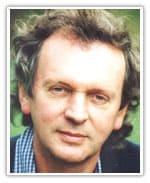 For more on Dr Sheldrake’s work I suggest a visit to Rupert Sheldrake Biologist & Author on the Web. She arrived at a time when medicine’s methods were struggling to reach real effectiveness. She transformed nursing from an afterthought to a discipline that helped to spawn statistical epidemiology, applied epidemiology, therapeutic nutrition, and the modern field of professional nursing itself. 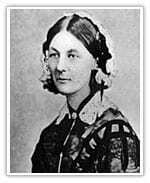 Her astute observations and practical-mindedness did more to improve health care than perhaps most medical discoveries of the time.